Fishermen from Lake Ossa learning bee farming as an alternative livelihood: a perspective towards mitigating manatee bycatch! 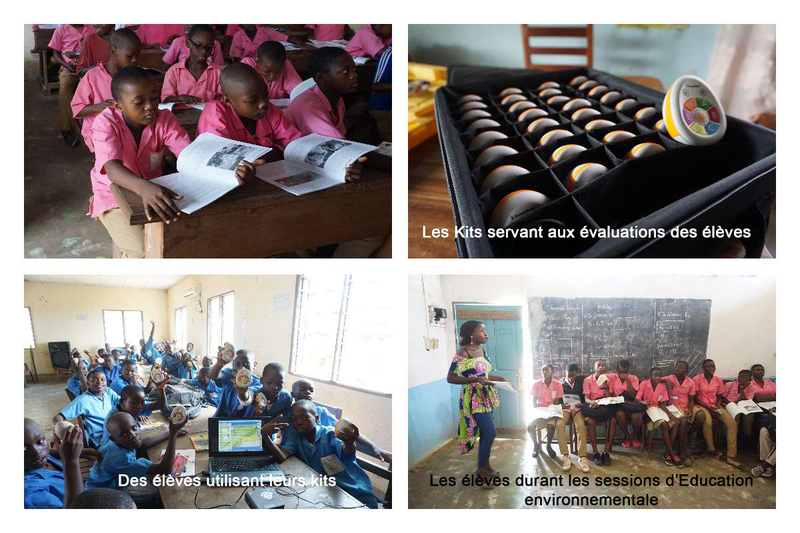 From August 24 to 29th, highly motivated fishermen from Lake Ossa lead by AMMCO team participated in an exchange learning trip to Oku in the North West region of Cameroon visiting Cameroon Gender Environmental Watch (CAMGEW), a local NGO. Oku is famous because of his Oku white honey a certify product by international standard. During the visit, fishermen from Lake Ossa were initiated on bee farming process and value chain. 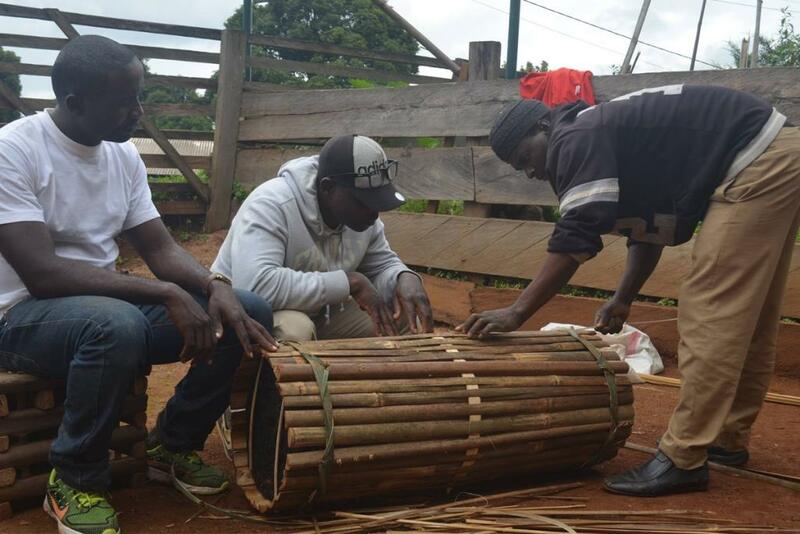 They were taught how to construct bee hives out of locally available materials such as raffia bamboo, elephant grass, Indian bamboo and cane sticks. The skilled up fishermen are now very motivated and ready to take up the challenge of progressively shifting their daily activity from fishing to bee farming. They are looking forward to transferring the skills to their peers in Lake Ossa. Installing beehives in the forest surrounding the lake will significantly prevent bushfire and reduce the alarming deforestation going on across the watershed of Lake Ossa. 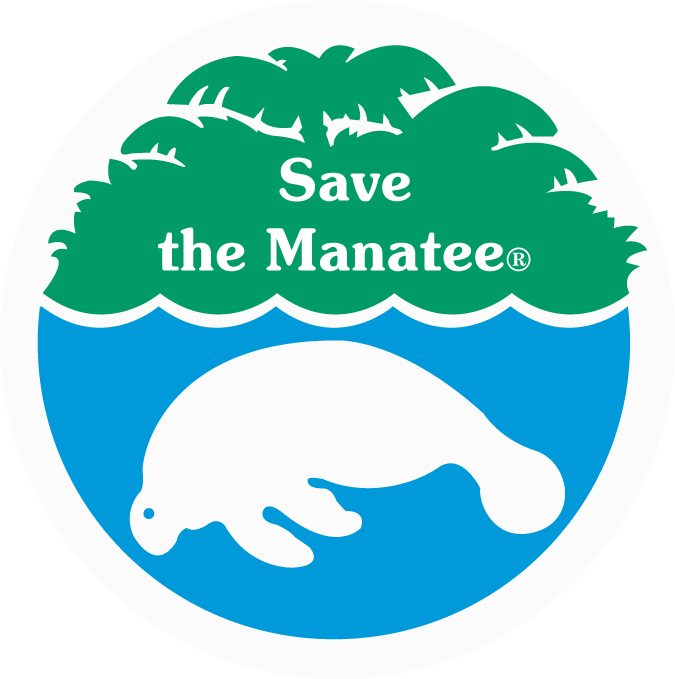 Hopefully, as more fishermen will get busy in bee farming, fishing effort on the lake will decrease; hence manatee bycatch rate will curve down too. 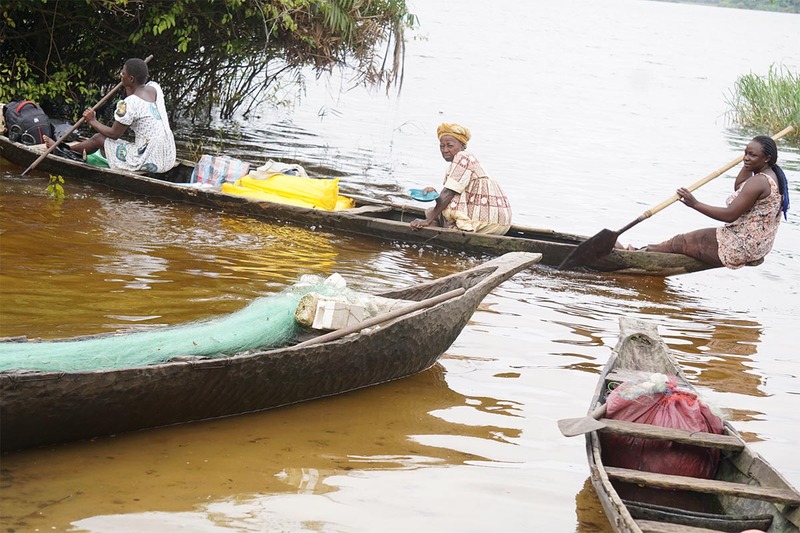 Lake Ossa is not only a preferred habitat for the vulnerable manatees and other threatened biodiversity but provides ecosystem services that about 500 families rely on every day for their livelihood especially through subsistence fishing. 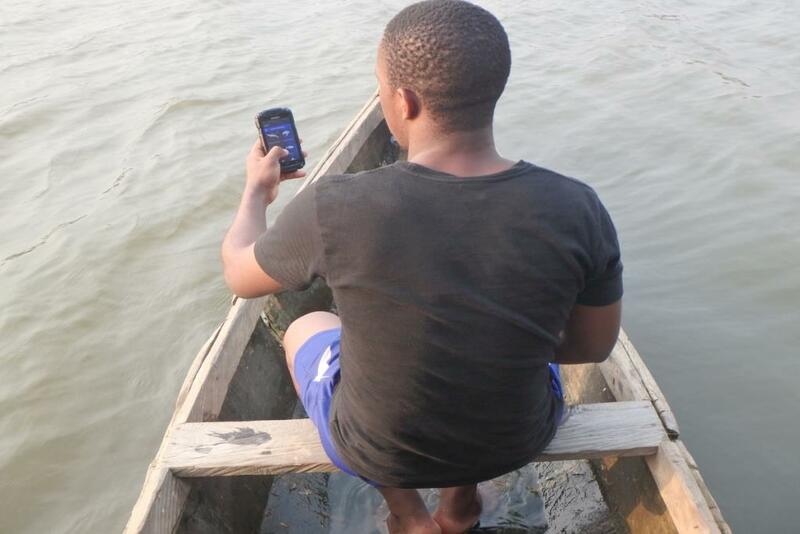 Fishermen in Lake Ossa are unanimous that the quantity of fish harvested every day is seriously declining with time due to overfishing and unsustainable fishing practices. Consequently, some fishermen poach or accidentally catch manatees as a source of proteins or sell them in the nearby markets. 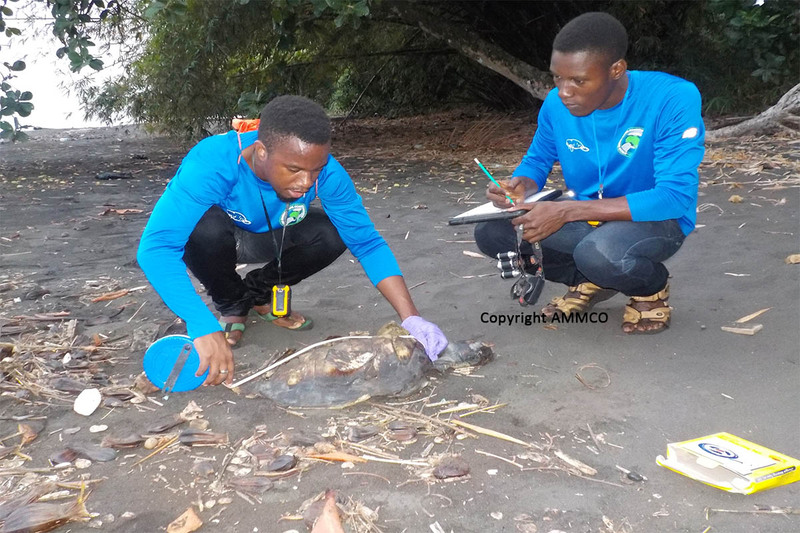 In order to reduce the anthropogenic threats and mitigate human and manatee conflict in Lake Ossa, AMMCO has launched, through the support from the GEF/SGP-Cameroon, an ambitious African manatee research and conservation project including applied research, environmental education and more importantly the development of alternative livelihood activities for fishermen and families living around Lake Ossa Wildlife. Through this project, AMMCO aims at improving the livelihood of at least 50 fishermen by providing them with practical training and equipment to start a bee farming activity as an alternative livelihood to fishing in Lake Ossa. Let’s change Dizangue to Honey city!